The more than 500 “I Love NY” signs posted along the Thruway system and other highways had been the focus of a yearslong spat between the Federal Highway Administration, which said they were illegal, and Democratic Gov. Andrew Cuomo, who said they were a key component in boosting the state’s $100 billion tourism industry. The federal agency initially said it would withhold $14 million in highway funding from New York if the state didn’t remove the signs by the end of the federal fiscal year on Sept. 30. Under an agreement worked out before then, the state had to remove the last four signs in each five-sign grouping by Nov. 21, but could retain the first sign in each group, with modifications. 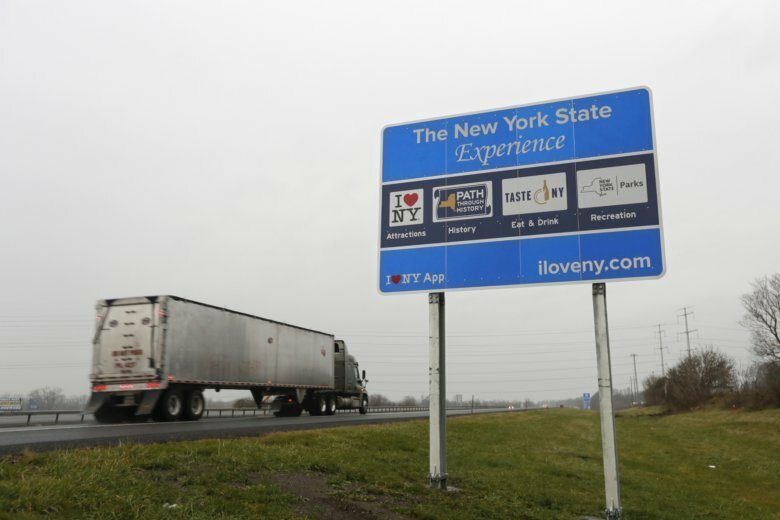 The four follow-up signs in each group are being repositioned at welcome centers, highway rest areas and Thruway travel plaza across the state, state DOT officials said. Each group of five signs included a large “motherboard” followed by four smaller signs, each touting a different sector of the state’s tourism industry: attractions, history, food and beverages, and outdoor recreation. The signs cost New York taxpayers more than $8 million to make and install. They began being installed in 2014, despite federal officials warning the Cuomo administration that the signage didn’t comply with regulations and posed a potentially dangerous distraction to drivers because they contained too much information. State DOT officials disputed the federal government’s claims, saying there was no evidence they directly contributed to any accidents. During his successful campaign for a third term in office, Cuomo was criticized by Republicans for spending millions on signs the federal government deemed illegal and risking millions more by not taking them down as directed. State crews spent the past few weeks removing about 400 of the follow-up signs that had been posted from Buffalo to Long Island along the 524-mile Thruway system and other highways, including Interstate 87 connecting New York City and the Canadian border in northern New York. About 100 of the motherboard signs remain in place.